How to find Rida and finally progress that pesky Sibling Rivalry quest. A rundown of each of TERA's racial abilities and bonuses. Every race has its draws! Learn how to level up fast, enchant gear, and combo out with your Reaper in this guide to TERA. Some helpful tips to make your first few hours with TERA on PS4 or Xbox One a little easier. TERA on PS4 and Xbox One is a faithful transition from PC, but the game at its core isn't without problems. Don't miss any of these sweet deals during TERA's month-long anniversary celebration. For the past 5 years, this popular action-combat MMORPG has only been available on PC. Now that's about to change. We've all had those relationships that just didn't work out. For better or worse, I don't play MMORPGs anymore -- and these are the reasons for our breakup. This week was wrought with PR issues in gaming. Larry explains why PR teams aren't actually evil. I'm tired of chasing nostalgia, but I just can't stop. Where did the adventure go, I wonder? TERA's getting a new PvE server to accommodate the new Steam players and is giving free server transfers this week. TERA may have been on its deathbed a couple years ago, but it's absolutely thriving now. It's about time TERA got a gun-wielding class. 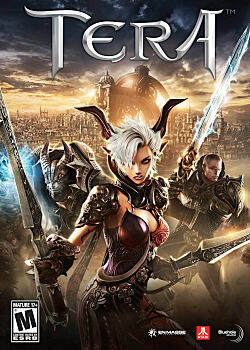 After months of looking at an "early summer" release on steam, TERA finally has a Steam release date! Counting down the top three best and worst MMOs, as well as the best of what comes next. A console gamer reviews the PC? Can the Smach Zero be the new king of the handheld market?